Invitation: Christmas final concert "Festival Brikcius" - Cello Duos II. 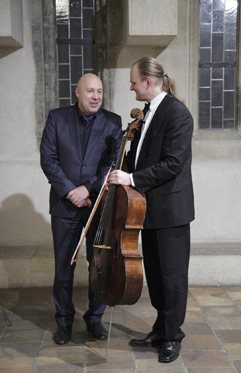 You are invited to the Christmas final concert "Festival Brikcius" - CELLO DUOS II., of Duo Brikcius, held on Thursday 19th December 2013, 7.30pm, at representative concert hall from the 13th century, the Stone Bell House (GHMP, 3rd floor, Staroměstské náměstí 605/13, Praha 1, Czech Republic). Cellists, siblings Anna Brikciusová and František Brikcius (Duo Brikcius), will play second part of compositions for two cellos. Six fuges by Italian composer Luigi Boccherini (1743 - 1805), Duetto by Italian composer Gioacchino Rossini (1792 - 1863), Piece for two cellos by Czech composer Bohuslav Martinů (1890 - 1959), Duo by "Terezín" Jewish composer Gideon Klein(1919 - 1945), written shortly before the WWII., second movement stays symbolically "Incompiuto". Duo and other compositions by Gideon Klein were edited by Vojtěch Saudek (1951 - 2003), grandnephew of Franz Kafka. In premiere Presto by Czech composer Leoš Janáček (1854 - 1928) arranged for two cellos. As special encore Duo Brikcius will perform composition Pavana by Czech composer and organist Irena Kosíková, who is living in France. Concert is a "preview" of the forthcoming Year of Czech Music 2014, celebrated by "FESTIVAL BRIKCIUS 2014" - the 3rd chamber music concert series at the Stone Bell House (Spring & Autumn 2014), by reminding work of Czech composers in the next year. The opening concert "Festival Brikcius" will be held on - Thursday 17th April 2014. Tickets are exclusively available through official festival ticket sales Prague Ticket Office - Via Musica (http://www.PragueTicketOffice.com - Via Musica, AMU, Malostranské náměstí 14, Praha 1 - Via Musica, Staroměstské náměstí 14, Praha 1 - Tel. : +420 224 826 440), Ticketon.cz and cca 90 minutes before every concert at the door (details here). Full entry fee: 400 CZK (advance ticket sales 380 CZK) / student, senior over 65 years and member of the Prague Gallery Club Card: 200 CZK (advance ticket sales 180 CZK). Due to the limited number of seats we strongly recommend early booking. "Festival Brikcius" - the 2nd chamber music concert series at the Stone Bell House in Prague (Spring & Autumn 2013), that commemorates 100th anniversary of the birth of the British composer Benjamin Britten - BRITTEN 100, 100th anniversary of the birth of the Polish composer Witold Lutosławski - 100/100 LUTOSŁAWSKI, 140th anniversary of the birth of the German composer Max Reger and 170th anniversary of the birth of the Czech cellist and composer David Popper and Daniel Pearl World Music Days, is held under the auspices of the Mayor of Prague 1 Oldřich Lomecký, the Councillor of the City of Prague Václav Novotný, the Ambassador of the Embassy of Italy in Prague H. E. Pasquale D'Avino and in the cooperation with the Prague 1 and the City Gallery Prague at the Stone Bell House, Old town square in Prague. Concerts are held every 3rd Thursday of given month at 7.30pm. 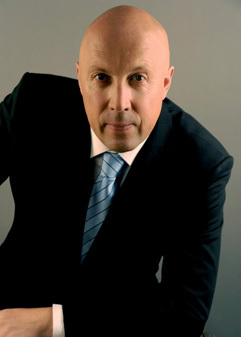 Further details on websites http://Festival.Brikcius.com , http://www.Brikcius.com , http://www.GHMP.cz , http://www.Praha1.cz , http://www.FaceBook.com/FestivalBrikcius , http://www.FaceBook.com/Brikciusova , http://Twitter.com/Brikciusova , http://www.FaceBook.com/Brikcius (FaceBook event here) & http://www.Twitter.com/Brikcius . "FESTIVAL BRIKCIUS - CELLO DUOS II." Thursday 19th December 2013, 7:30pm, The Stone Bell House (GHMP, 3rd floor, Staroměstské náměstí 605/13, Praha 1, Czech Republic). What will be "Festival Brikcius" - the 3rd chamber music concert series at the Stone Bell House (Spring & Autumn 2014) celebrating in following year? Contest is over, lucky winner is A. B. from Toulouse. 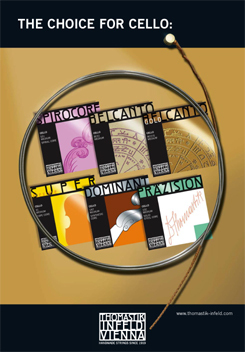 Prize for the CZECH CELLIST FRANTIŠEK BRIKCIUS NEWSLETTER is provided by Austrian company Thomastik-Infeld VIENNA, strings partner of "Festival Brikcius". je mi ctí, že jsem mohl převzít záštitu nad Festivalem Brikcius 2013, jenž je holdem vynikajícím skladatelům a violoncellistům i violoncellu samotnému - nástroji, který více než jiné dokáže vyjádřit pocity skladatele i samotného interpreta a jehož vztah s nimi bohatě překračuje partnerství hudebníka a "pouhého" cella. Výstižně to vyjádřil Mischa Maisky: Moje cello, to byla láska na první pohled, první zvuk i první dotek. Nikdy se s ním nerozloučím. German Jewish composer Zikmund Schul was born on 11th January 1916, in Chemnitz, Germany, into an Eastern European Jewish family, and since 1928 he grew up in Kassel. Only little is known about his life. He moved to Prague in 1933. For short time he studied with Paul Hindemith (1895 - 1963) at the Berlin Musikhochschule. Returning to Prague in 1937 he continues his composition studies with Fidelio Fritz Finke (1891 - 1968) and attends lectures by Alois Hába (1893 - 1973). During his time in Prague he became a friend of composer Viktor Ullmann (1898 - 1944). In Prague he also started to archive a collection of synagogal-songs from the synagogue of Prague, under direction of Salomon Lieben (1881 - 1942). Schul married 1941 Olga Stern, they were both deported to Terezín on 11 November 1941. Schul died on 2nd June 1944 in Theresienstadt concentration camp from tuberculosis. Composition Chassidische Tänze, Op. 15 (1941 - 1942) for violin and cello was written in Terezín. 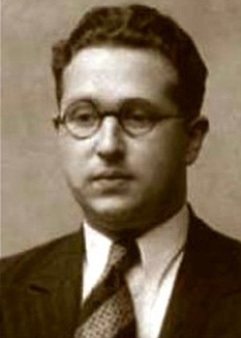 For more information about German composer Zikmund Schul visit http://www.Brikcius.com , http://HolocaustMusic.ort.org and http://EN.Wikipedia.org/Wiki/Zikmund_Schul . * Orders till 20th December 2013 free shipping & handling fees! **Sales for students, seniors over 65 years and members of the Prague Gallery Club Card.